"She is talking about women only, but men also experience a lot of disadvantage." While feminism and gender equality are certainly not exclusively about women, a focus on women oftentimes prevails as it is women who have in the past experienced and are still experiencing more disadvantages than men. Not only are women more frequently the victims of sexual harrassment and abuse (both in the workplace and otherwise), but they also face a more subtle class of sexism resulting in occupational discrimination in the form of lower pay and fewer promotions. Having said that, it is of course important to acknowledge that men also suffer from gender inequality. Men suffer from violence directed at them, and the prevailing stereotype that they must be strong and emotionless, which is likely to evoke a lot of pressure resulting in risks to their physical and mental health. An increasing suicide rate in young men illustrates this point. Furthermore, men activism groups and researchers have started to lament about the rather unequal situation between men and women regarding family laws and family policies in our society. In general, men are less likely to gain child custody and receive less paid parenting time than women. It seems like men are frequently opposed to feminist movements for the fear of losing something. I propose that both men and women can gain from gender equality. For example, safer streets and appeals to reduce violence against women will inevitably result in less violence directed at men. Concerning the workplace, improved working condition for women will relieve the burden and pressures of being the sole provider for many men. This, in turn, will allow them greater influence and involvement in raising their children. Research has shown that men, women, and even their children, incur fewer health hazards in egalitarian relationships; both partners suffer from less physical illnesses and mental disorders and lead a generally more satisfied lives. Balancing work and family seems to be a system that works well for all parties involved. A conciliatory conclusion I have reached and embraced in my research is that gender equality is a movement that everyone can benefit from since the goals of men, women, and other genders might not be as much removed from one another, as frequently assumed. Maybe we are not up against each other, but up against assumptions and stereotypes. Therefore, rather than feeling mistreated and/or neglected, I urge people to scrutinize the consequences of a certain suggestion made in the name of supporting one group’s rights. It might just turn out that we are not playing a zero-sum game here and that benefits for one group result in more benefits for another group! Collier, R. (2009). 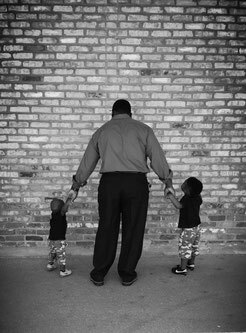 Fathers' rights, gender and welfare: some questions for family law. Courtenay, W.H. (2000). Constructions of masculinity and their influence on men's well-being: a theory of gender and health. If you enjoyed reading this and/or liked to learn about the topic of gender equality, watch out for next week’s post discussing the quote “The gender pay gap is completely due to women’s decisions to stay at home with the children”.